NYC Immigration Lawyers, Naturalization, Green Cards, Deportation Defense, Brooklyn, New York - How Do I Become an Academic Student in the United States? » How Do I Become an Academic Student in the United States? A nonimmigrant is someone admitted to the U.S. temporarily for a specific purpose. People who are coming to the United States to pursue full-time academic or vocational studies are usually admitted in one of two nonimmigrant categories. The F-1 category includes academic students in colleges, universities, seminaries, conservatories, academic high schools, other academic institutions, and in language training. The M-1 category includes vocational students. If you are planning to study in the United States as an Exchange Visitor, please see the Department of State, Bureau of Consular Affairs and the Department of State Websites. Also, please see the Code of Federal Regulations at 8 CFR 214.2, 212.7, and 22 CFR 514. Please note: If you wish to attend public high school (grades 9-12) in the United States in student (F-1) status, you must submit evidence that the local school district has been reimbursed in advance for the unsubsidized per capita cost of the education. Also, attendance at U.S. public high schools cannot exceed a total of 12 months. F-1 students are prohibited from attending public elementary schools and publicly-funded adult education programs in the United States. The Immigration and Nationality Act (INA) governs the admission of all people to the United States. For the part of the law concerning temporary admissions to the United States, please see INA § 214 .The specific eligibility requirements and procedures for applying for academic student status are included in the Code of Federal Regulations [CFR] at 8CFR § 214.2(f). · How Do I Apply if I am Outside of the United States? You first must apply to study at a USCIS-approved school in the United States. When you contact a school that you are interested in attending, you should be told immediately if the school accepts foreign national students. If you are accepted, the school should give you USCIS Form I-20 A-B/ID (Certificate of Eligibility for Nonimmigrant (F-1) Student Status - for Academic and Language Students). If you require a visa, then you should take the USCIS Form I-20 to the nearest U.S. consulate to obtain a student visa. Only bring the USCIS Form I-20 from the school you plan on attending for visa processing at the U.S. consulate. You must also prove to the consulate that you have the financial resources required for your education and stay in the United States. 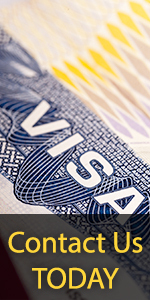 Please see the State Department Website for more information on visa processing. When you arrive in the United States, you should receive a Form I-94 (Arrival-Departure Record) that will include your admission number to the United States. An Immigration inspector will write this admission number on your USCIS Form I-20 A-B/ ID. The Immigration Inspector will then send pages one and two of this form, known as I-20 A-B, to your school as a record of your legal admission to the United States. You are expected to keep pages three and four, known as the I-20 ID. This document is your proof that you are allowed to study in the United States as an F-1 student. You should see your designated school official (DSO) if you need a replacement copy of your I-20 ID. You should also keep safe your Form I-94, because it proves that you legally entered the United States. · How Can I Change My Nonimmigrant Status to Become a Student If I Am Already in the United States? You first must apply to study at a USCIS-approved school in the United States*. When you contact a school that you are interested in attending, you should be told immediately if the school accepts foreign national students. If you are accepted, the school should send you USCIS Form I-20 A-B/IID (Certificate of Eligibility for Nonimmigrant (F-1) Student Status - for Academic and Language Students). You must submit this form and a USCIS Form I-539 (Application to Extend/Change Nonimmigrant Status) to the USCIS. You must also prove that you have the financial resources required for your education and stay in the United States. For more information, please see How Do I Get Permission to Change to a New Nonimmigrant Status?. *Please be aware that if you have been admitted as a B-1 (Temporary Visitor for Business) or B-2 (Temporary Visitor for Pleasure) visa holder, you may not begin your program studies until your application for these studies is approved. · How Do I Apply for Permission to Transfer Schools? You must be a full time student in good academic standing. You must notify your current school of your intent to transfer. You must ask the school that you plan on attending to give you a new USCIS Form I-20 A-B/ID (Certificate of Eligibility for Nonimmigrant (F-1) Student Status - for Academic and Language Students). You must complete your portion of the USCIS Form I-20 and give it to your new designated school official (DSO) within 15 days of transferring. The designated school official (DSO) should give you the last two pages, known as Form I-20 ID, and forward a copy of the first two pages, known as Form I-20 A-B, to the USCIS and your prior school. You are allowed to stay in the United States for as long as you are enrolled as a full-time student in an educational program and making normal progress toward completing your course of study. If approved, you also will be allowed to stay in the country up to twelve additional months beyond the completion of your studies to pursue practical training. At the end of your studies or practical training, you will be given sixty days to prepare to leave the country. See 8 CFR § 214.2 for more complete time limits. You do not need to apply to extend your stay in the United States as long as you are maintaining your student status and making normal progress toward completing your academic course of study. The designated school official (DSO) from your school will write down a completion date on your USCIS Form I-20 A-B (Certificate of Eligibility for Nonimmigrant (F-1) Student Status - for Academic and Language Students). Under normal circumstances, you should be able to complete your studies by this date. You may be allowed to work on-campus or off-campus (after the completion of your first year of study) under limited circumstances. Please see the rules on student employment at 8 CFR 214.2 (f) . You may also wish to discuss employment with the designated school official (DSO) at your school. Your accompanying spouse and child may not accept employment. · A valid F-1 entry visa stamped in the passport (if necessary). · A current USCIS Form I-20 ID (Certificate of Eligibility for Nonimmigrant (F-1) Student Status - for Academic and Language Students) signed by your appropriate school official (you should have the appropriate school official sign your USCIS Form I-20 each time you wish to temporarily travel outside the United States). · A new USCIS Form I-20 A-B/I-20 ID if there have been any substantive changes in your course of study or place of study. · Proof of your financial support. When making your travel plans, please remember that you must be a full-time student to keep your F-1 student status. You will be considered to be "in status" if you take the annual summer vacation, as long as you are eligible and intend to register for the next school term.